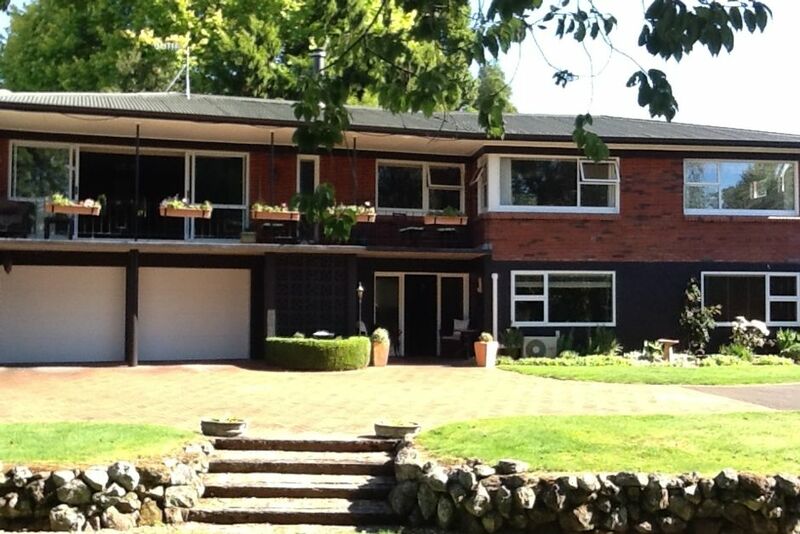 Rotorua 2 Bedroom 1 bathroom apartment suits singles, couples, families, groups. The Space - large living area looking out to a lovely private garden, 2 separate bedrooms, 1 luxury king bed in the master bedroom with 1 bathroom and 1 queen bed in the second bedroom. The apartment offers a small kitchenette, laundry, outdoor gas BBQ and freeview TV. Warm and cosy with heating and a large garden for children to play in. I live upstairs, you have full access to the lower level of my home. Please don't use the apartment for parties. If an unreasonable amount of cleaning is required we charge for it at $35 per hour or if deodorising is required there is a $75 fee per room. This is a quiet neighbourhood therefore there is a noise curfew at 10.30pm. Welcome to my home. I have lived here for 29 years and I love to share my local knowledge to travelers. I have traveled to many places so have experienced different cultures and always enjoy meeting new people. My home is in a quiet residential neighbourhood at the end of a cul de sac. It is a safe, well established street. It is a large family home where I raised my family who have moved away. I love that it is close to the forest and lakes. Being in the central north Island it is 3 hours to Auckland, 2.5 hours drive to the ski fields and Tongariro walk. 1 hour to the nearest beach. The climate is average 20C in summer and 12C in winter. You'll be close to most venues so you won't have to spend lots of time travelling. Great property - close to the city. Great property - close to the city. Clean, spacious - everything you need. Will be back ?? Lovely flat well located. Very quiet area. Nice tidy property and good value for money. Te Puia Thermal park and cultural center is 1 km away. Within walking distance to convenience store, bakery, ATM, hairdresser. Wai-o-tapu Thermal Wonderland is 30 km south or 30 minute drive. Waimangu Volcanic Valley is 19km or 22 minute drive. Waipa mountain bike park is 3.2km south. Redwood forest walking tracks are 3.6kms.